Robert De Niro, as wealthy investor Carl Van Loon, wears a Breguet Classique Automatic 5197BA watch in the movie Limitless. 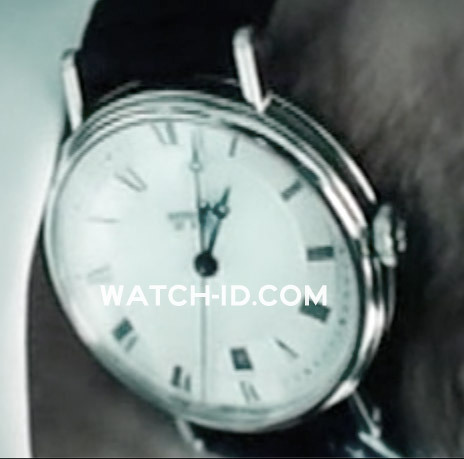 The watch gets a short but full screen close-up in the film, and can be seen on De Niro's wrist in other shots. 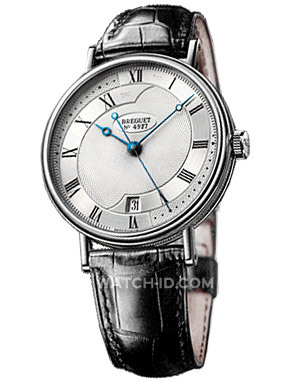 The Classique wristwatch in the film has a black leather strap and white gold case (the same watch is available in 18-carat yellow gold as well). It features selfwinding movement, balance spring, lever and escape wheel in silicon, dial in 18-carat silvered gold, hand-engraved with a circular barleycorn pattern on a rose engine. Chapter ring with Roman numerals and date aperture at 6 o'clock. Sapphire caseback. The watch has an interesting dial and features a date indicator at the 6 o'clock position.